If we think of the page at all, it’s probably as something necessary to writing but of little interest in itself. While writing, publishing, and reading are, we recognize, socially and culturally mediated, the page seems neutral enough and constant enough across time and genres that it can be ignored. It simply stores language and conveys it to the reader. The page, it seems, is like a shoebox. If we were shopping for shoes, we might note the label (“Are these authentic Air-Shakespeares?”) and ponder the shoes themselves (“To style or not to style, that is the question”), but we wouldn’t analyze the box. All shoes—high heels, sports shoes, wingtips, cowboy boots—come in a box. The particular shoe dictates the size and shape of the shoebox. The shoe is all; the box nothing. But is the page simply a “box” for the shoes we fashion from writing? What if it’s, at times, more than a surface for the writing printed on it? For poetry, at least, this seems to be the case. In poetry written for the page and circulated in print, the page is not a passive surface for conveying words to the eye. It functions as part of the poem’s system of measure and partly determines how its sound and its linguistic gestures function. In poems, the page and the writing it holds are not shoebox and shoe but, instead, an integrated, culturally mediated system that can shift over time in response to such things as how writers and readers treat the relationship of writing to speech and speaking and how they theorize their relationship to that broader phenomenon—language. The surface of the page is itself rhetorically constructed—for both the writer and the readers who try on a particular poem and walk about in it. And, if the rhetoric of the page is in part historically constructed, it may well be that a writer’s assumptions about the system of the page and writing may differ at times from the various assumptions that later readers may hold and that this can complicate, even compromise, how readers engage various poems without the reader being aware that this is the case. This claim that the surface of the page matters as something more than just an empty box for written objects is based on the assumption that writing and speaking are two different modalities of language and that our various ways of understanding what writing is and how it functions necessarily reflect (and embody) a response to this difference. The medium of writing must be, it seems, either an attempt to subvert, an attempt to ignore and hide, or an attempt to engage the differences between the twinned but solitary moments of writing/reading and the social interactivity and speaking, listening, and replying—whether we are consciously aware of these different options or whether our approach to writing and reading leaves these options as latent, unexamined matters. The work of the linguist Josef Vachek offers a way to understand how the dialectic of speaking and writing as distinctly different modes of language can support different uses of the page and how the page can function as an element in the system of writing. Vachek argues that writing can relate to speech in several ways. It can, for one, function as a visual image of the sound of speech. Appropriately clustered letters evoke spoken sounds, and writing can, thus, be used to represent approximations of speech on the page and thereby both store these approximations for later use and circulate them beyond the place of their speaking. Similarly, writing can be used to construct texts that we, as readers, hear as if the systematically arranged letters represent something that was spoken, even when the writer may have reviewed and revised the writing so that the final product has an economy or density or stylistic finish that we seldom manage in the impromptu exchanges of actual speaking. In both of these approaches—whether writing represents actual instances of speaking or has been fashioned into a kind of distilled or supra-speaking—writing is an analogue to speech. It is, that is, a visual representation of an aural system that derives from and emulates spoken practice. But writing can also, Vachek notes, function directly as a visual system that need not reference the sound of speech, restrict itself to practices that would actually work in the give and take of speaking, nor mime speaking in any way. When we write expository prose for silent reading and read it silently, the letters of words needn’t imply sound. In writing operating as visual language (rather than representation of spoken language) distinctions such as “to,” “too,” and “two” are visual cues that contribute to the processing of the visual units even though they do not register as aural differences. When writing and reading are manipulations of a visual code, a visually self-sufficient system, there is no need understand what is written as if it is a representation of speech and speaking. Writing is no a way of encoding and presenting an aural system. Writing becomes, itself, language rather than an analogue storage of language. But writing, once its potential to function fully as a visual system through writing for the silent eye and reading silently comes into play, is no longer restricted to being a mirror of speech and the dynamics and processes of speech. For Vachek, then, the single code of writing can operate in two different ways: (1) as a visually encoded representation of speech (where speech is the expressive system) and (2) as a self-sufficient visual system where writing is the expressive system. For Vachek, writing in this second sense, while it has evolved from speech and speaking, has come to operate through and for the eye and has over time come to have its own norms and practices (distinct from speaking) that reflect its particular advantages and limitations as a visual rather than aural medium. For the most part we shift so easily between these systems, these media, that we seldom consider the different norms, occasions, or capacities and limitations that shape our practices of speaking and writing as two distinct modalities of language. We are, in a sense, bi-languageal. We talk one way; we write another; and we are so comfortable with the occasions for each and so adept at their respective dynamics that we have little reason even to notice their differences, much less reflect upon them. Yet, our practices of language do not always divide so cleanly into the separate realms of the immediately interactive exchange of speaking/listening and the deferred interactivity of writing/reading. Our practice also includes various hybrids. We have all encountered conference “talks” that are lucid and reasonably paced if read by the eye as “writing” but when heard as if speech (what might be termed voiced writing) are so turgid that even a triple latté can’t keep us awake. Similarly, anyone who has “transcribed” a taped panel discussion knows that what seemed a brilliant point brilliantly made in the actual give and take can be a baffling series of elliptical fragments when transferred verbatim to the page. People who write good “talks” adjust their prose to accommodate the needs of the ear, and people who are skilled transcribers often must translate what was spoken into a prose that “sounds” to the eye as if it could have been spoken. Such hybrids as conference talks and transcribed discussions illustrate that writing for the ear is not the same thing as writing for the eye and show that voiced writing is not the same thing as interacting in speaking with a listener who functions as a responding “you” rather than an audience. These hybrids also illustrate that the doubled system of writing (its capacity to function, on the one hand, as a visual representation of spoken sound and to function, on the other, as a visual system derived from but not limited to the action of speech) often plays out in our actual practices of language not so much as a binary either/or but as various intermixtures that combine writing as represented sound (and potentially image of speech) and writing as units of visual meaning in different ratios. The unvoiced efficiency of technical prose suggests one end of this dialectic. Written speeches that emphasize incantatory rhythms, repetitions, and the like as performance elements fall somewhere toward the other end, while conference talks and transcribed discussions fall somewhere in between. The practices that we aggregate as literature, I’d suggest, also fall somewhere in between. If voicing writing (that is reading aloud) is not the same as speaking and if writing speech is not the same as writing writing, the way composing in language can involve various negotiations of writing as represented sound and writing as visual code seems especially, and unavoidably, a factor for poetry with its roots in oral practice and its history of emphasizing auditory elements (rhythm, meter, rhyme, alliteration, etc.). While the novel has been from the start a written form, produced for print and read silently, poetry preceded the advent of writing. And though poetry’s successive formal incarnations in writing and print have changed the role of sound in it, we continue to believe that poetry is written at least in part to be voiced and heard. The belief that poetry should continue to relate to the ear (even as it is composed for the page and circulated on the page as writing) has never fully died out. This may be one reason why the history of poetic experiment is so much a history of poets attempting to come to terms with what it means to transcribe sound onto the page and work out ways to utilize the page as a visual field, to make the line function as a visual unit of measurement, and to exploit typography as a stylistic element. It may also be a reason why the history of experiment in the novel tends to move in the opposite direction and to involve more a series of plays on and with the spoken—Sterne, Joyce, Faulkner—that push us to hear the page in ways that supplement or disrupt the written mode and its visual norms. In any case, the relationship of writing to page tends to differ in prose and poetry. In prose, the page has relatively little to do with measuring the writing. Whatever the ratio of representation of sound and speech to visual code a particular writer’s style might involve, we tend to read as if the writing unfolds continuously without being measured or bounded by the margins or page breaks. The modulations within sentences and between groups of sentences come from syntax, punctuation, shifts in register that we may hear within the style, paragraphing, and chapter divisions. In most prose, then, we “read” the page as a relatively neutral surface, and prose that breaks up the space of the page to create visual, spatial relationships among the written units seems experimental (or it reflects a specific, codified use of space and spacing such as hanging indents and bullets in certain kinds of technical writing). In poetry, though, the page is not a neutral surface for writing. It is an element in the poem’s system of measure that helps create the specific ratio of writing as represented speaking to writing as visual code in a given work. In poetry, the page is much more than a shoebox that stores the poem on the shelf until we slip it out to try it on for size. Rather, the surface of the page and the writing on it are a single mechanism that enact the various conventions poets and readers have negotiated over time for what the space of the page actually is, what poetic “writing” is in relationship to this space, and the system for how this space and the verbal units in it interact. In modern poetry the page can function in at least two contrasting ways: (1) as a space where writing as a visual system can be inscribed and measured against the field of the page, and (2) as a space where writing as represented sound enacts a voice. 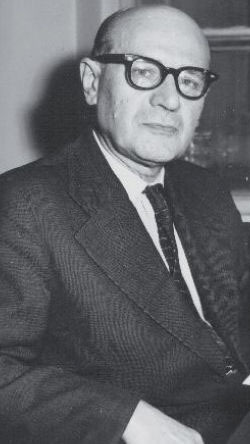 Josef Vachek’s seminal 1959 essay, “Two Chapters on Written English,” is collected in Selected Writings in English and General Linguistics (Prague : Academia, 1976), 408-41. Vachek later updated and extended his discussion of these matters in Written Language: General Problems and Problems of English (The Hague, Mouton, 1973). 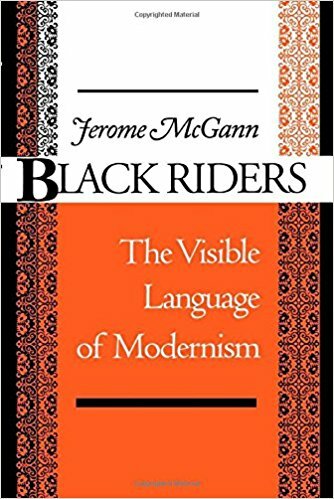 Jerome McGann’s discussion of Anglo-American modernist poetry in Black Riders: The Visible Language of Modernism (Princeton, NJ: Princeton University Press, 1993) provides an extended example of this. Tim Hunt is professor emeritus in Literature from Illinois State University. 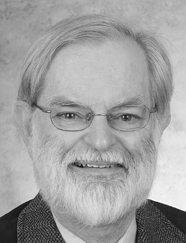 His scholarly publications include Kerouac’s Crooked Road: Development of a Fiction, The Textuality of Soulwork: Jack Kerouac’s Quest for Spontaneous Prose, and the five volumes of The Collected Poetry of Robinson Jeffers. 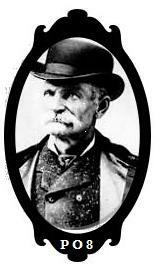 Hunt has also published three collections of poetry. Fault Lines, The Tao of Twang, and Poem’s Poems & Other Poems received three Pushcart Prize nominations, and his the poem “Lake County Elegy” has been awarded the Chester H. Jones National Poetry Prize. This entry was posted in Poetry, Poetry Society and tagged Black Bart, Black Riders; The Visible Language of Modernism, California, California Poetry, Jerome McGann, Josef Vachek, Life Of Crime News Letter, Modern Poetry, outlaw poets, Poetry, Poetry Blogs, Poetry Lectures, Poetry Lessons, Poetry Society, Poetry Talks, Poets, Schools of Poetry, The New Black Bart Poetry Society, Tim Hunt. Bookmark the permalink.